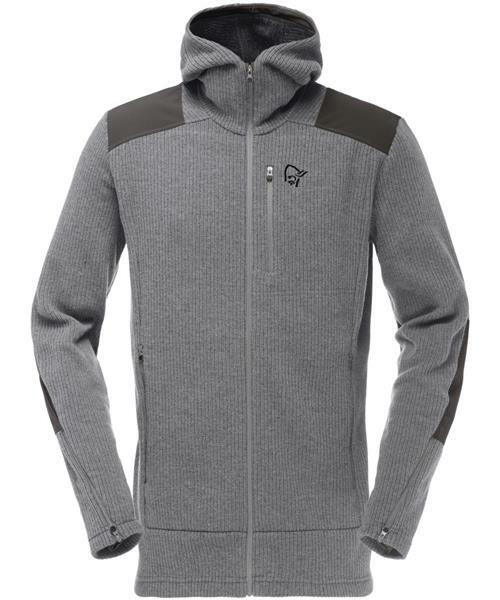 The tamok warm/wool2 Zip Hood is a technical wool hoodie with a military design. It has a distinct and toned down expression developed for the toughest guys in the backcountry. The durable wool and polyester mix provides the best of two worlds with thermal regulation, odor reduction and quick drying properties. Neat features include hand gaiters with zip closure, hand warmer pockets, a zip chest pocket and both practical and stylish reinforcement on the shoulder and elbows. This mid-layer works perfectly underneath your shell jacket but is definitely cool enough to be worn alone back at the cabin after a long day out making moguls.